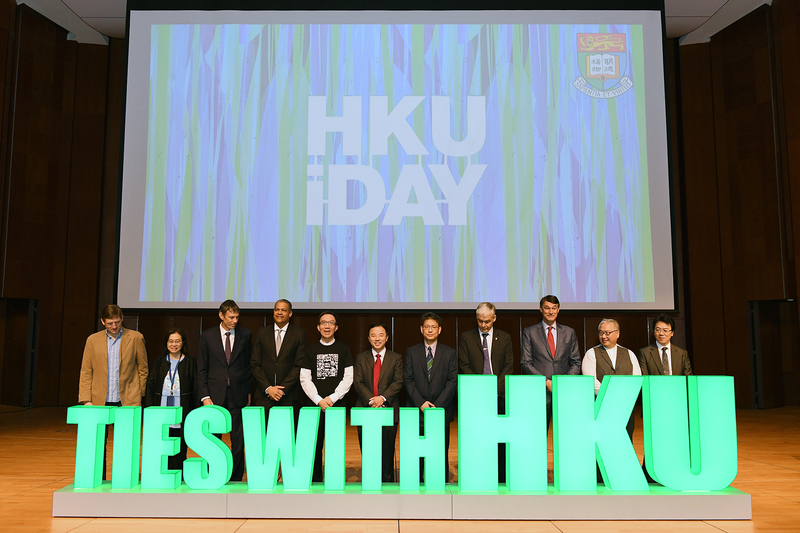 HKU has partnered up with leading international universities around the world to give opportunities for students to experience different learning environment and culture, while pursuing two degrees. From May 14 - 20, JUPAS Information Week targeting 2018-19 JUPAS applicants will be held at HKU campus. HKU & PKU is launching a dual bachelor's degree programme in law for 2019 intake. Bonus points will be given to applicants with high levels of achievement in subjects in their HKDSE. The dual degree programme between HKU and Berkeley offers students a cross-cultural and transpacific undergraduate learning experience. We aim to provide you at this website with short-cuts to information that are most relevant to your consideration at this point of time. From time to time, we will post updated information of HKU that will help you with the selection of JUPAS programme choices. The University of Hong Kong (HKU) held an Information Day for Undergraduate Admissions today (November 3, Saturday) to provide an opportunity for prospective students to understand the academic programmes offered at the University for the 2019-20 academic year. Click here for the list of undergraduate programmes offered by HKU. Submission of Other Experiences and Achievements in Competitions/ Activities (OEA) information and uploading of required supporting documents via the JUPAS online application system (as appropriate). Applicants may update their programme choices before the release of the HKDSE Examination results during the period 5 December 2018 (9:00 am) – 22 May 2019 (11:59 pm). Please observe the programme entrance requirements to make sure you meet all the specified requirements of respective programmes. Interview schedule for HKU programmes will be announced later. Applicants can modify their programme choices at their own allotted time-slot via the JUPAS account between July 11 – 14, 2019. Please refer to the Summary of Arrangements for Announcement and Acceptance of Offer on JUPAS website. The University of Hong Kong’s highest priorities are to create opportunities for the very best academic talents to excel and to advance human knowledge to the benefit of society. To enable these, the University will provide a world-class, intellectual environment in which all its members are recognised and rewarded for what they contribute and achieve. In this way, the University will seek to serve the needs of Hong Kong, the wider region and the rest of the world. To promote global citizenship and competitiveness, we plan to provide all students with at least one mainland China and one overseas learning opportunity by 2022. Is there life out there? Are we alone? We wish to continue encouraging critical questioning and thinking to innovate for change and social good. By bringing together different and divergent minds, we aim to drive and catalyse new ways of thinking, new ideas and concepts and new ways of doing things. From contributing to finding cures for the world’s greatest diseases, promoting oral hygiene in developing countries, our aim is to embed impact into all of our academic and educational outcomes.